"You may may not be aware, Bilbo m'dear, but they do sometimes refer to us as the Fairies." "Umm, what's he up to?" "Who needs Tauriel when you've got this?" 'I'm a little busy here. Can't you guys find the bathroom yourselves'? Sam's gonna cut you. Sam's a blade man. And then there's your favorite horse. Don't make me call my godfather. 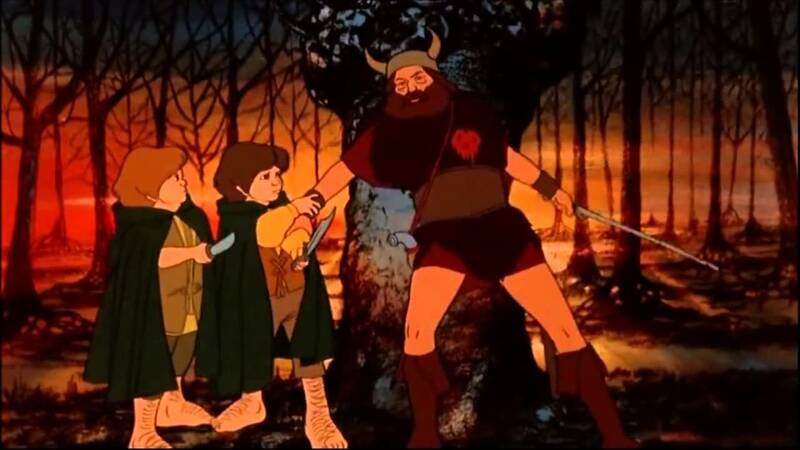 Boromir: If you halflings pull on my arm, I might be able to get my legs more splayed than they are already! Boromir takes as his sigil the Flaming Heart of Stannis Baratheon. "Hey Boromir, the Orcs want a new picture." "Forochel Film Weekly says Peter Jacksom can't make any more movies!" The dwarves celebrate as Bombur wins the "Who Can Break the Most Wind" competition. Bombur wins the annual Middle-earth Biggest Braids 'n' Breasts contest. Not pictured is Eowyn, who came in a distant second. The moment it was announced that Obelix would not be suing for copyright infringement. Gotta get the snark out. "And then they believed him that it will only be two movies!" "Hurray! Radagast brought more mushrooms!" Invisible bees attack at the most inconvenient times. "Brilliant idea! Bombur can just eat Smaug!" Elrond: "Hold it just like that. We need this photo to identify your remains." Nobody liked the annual family photos. The guests were prepared to do a lot for Elrond, but they thought a school choir was a bit too much. Sam: "Okay Strider. Arwen IS a better stripper than Rosie." The cast reacts with shock when Jackson announces that there will be elves at Helm's Deep. PJ: "Just wait til The Hobbit - our plot & each of your characters are crunched for time now, but I'll be making THREE movies out of that one book!!" "...human shields, walking packed lunches, which can also be outrun if you get pursued by wargs" Elrond stopped talking, he could tell that he had said too much, apparently 'The many reasons to bring a hobbit on a quest' had not been meant for the ears of the little people. 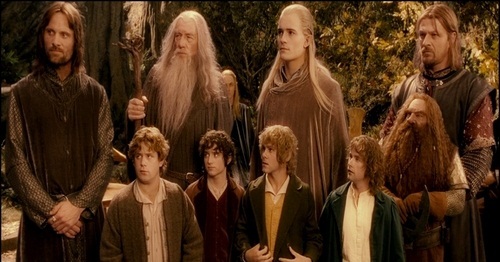 The Fellowship's delay in setting out was really just due to waiting for a new pic! "And the Uruk Uglies are stopped at the line of scrimmage; it's 4th down!" The other orcs cheat to dethrone Azog as the reigning "Helmet to the Gut" competition champion. At that very moment Azog dearly regretted having slashed the trouser budget for his troops. Azog's minions rob him of his glorious book death by hauling him away before he could actually die. "Let me go! I have to put up a new pic!" "Mate, we have to find you a wife." Even as small as Hobbits are, it was a truly jumbo shrimp Pippin had found. Only Merry noticed that Pippin was being eaten alive by the giant lobster. Pippin: "This is the most bestest pogo stick I have ever seen!!!" Merry thoroughly disliked when Pippin would get too drunk and start a staring contest with an inanimate object. "No! Bilbo! Don't sing the Justin Bieber!" Bilbo had had enough of Gandalf's airplane imitations. - Fine, I'll leave the Ring, but only if you give me more cookies! Gandalf: ...and then I waved my hands, like this, and parted the red sea! Gandalf wasn't too pleased when Bilbo won the boxing match against Thorin, but he had to admit that the dwarf was down for the count. After ten minutes or so, Bilbo began to suspect that the grey wizard was following him silently on tiptoe again. Bilbo: "Gandalf please, a conga line isn't that difficult to do"
Gandalf finally found the opportune moment to yell "Boo!". It was that moment when Gandalf the Istar became Gandalf the Astaire. Bilbo's attempt of becoming The Shire's top Crooner was constantly being undermined by Gandalf's jazz hands. Bilbo: So I slip off my cloak like this...? Gandalf: No, no, no! ALL the clothes come off at once! "Bilbo, give Radagast his robe back, it doesn't fit you!" Theoden: Gandalf, how many times do I have to tell you - you can't just walk into Isengard! Gandalf: And then we call the Eagles to take your army, horses and all, and get them to carry you four fifths of the way there! G: The palantir told me I was the 10th user and won a million silver pieces, so I gave it your credit card number!